we had these pancakes for audrey's birthday and the custard sauce almost killed me. i literally ate it by the spoonful after i finished my pancakes. i don't even like pancakes usually, but anything covered in this sauce is bound to be heavenly. 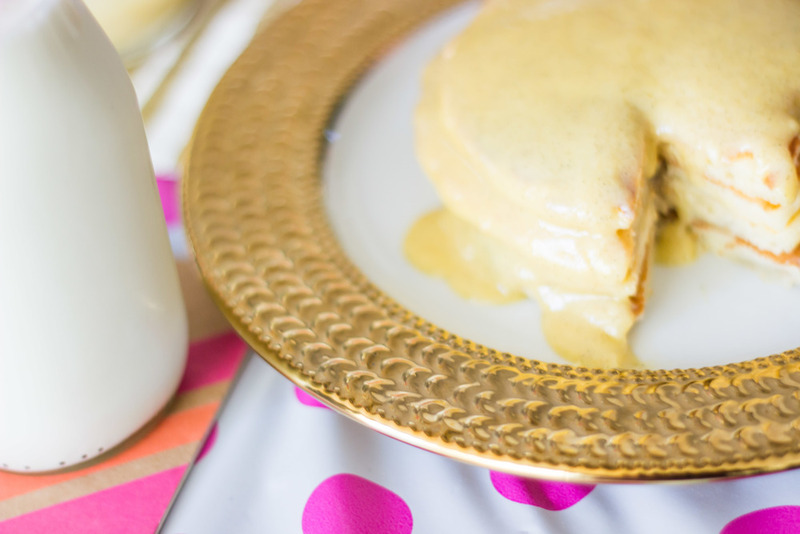 this pancake recipe is especially fluffy and delicious. place whipping cream in heavy medium saucepan. scrape in seeds from vanilla bean; add pod. bring cream to simmer. whisk egg yolks and sugar in medium metal bowl to blend. gradually whisk in hot cream mixture. return mixture to saucepan and stir over medium-low hear until custard thickens and finger leaves path when drawn across back of spoon, about 4 mins (do not boil.) strain. (can be served cold or hot). whisk together flour, sugar, baking powder, baking soda, and salt in a bowl. whisk together buttermilk, 2 tbsp melted butter, eggs and vanilla in a large bowl until smooth. add flour mixture and whisk until just combined. cut banana into bits and fold into batter (or you can add slices into the pancakes once you have put the batter in the pan). brush a 12-inch nonstick skillet with some of the remaining butter and heat over moderate heat until hot but not smoking. working in batches of 3, pour 1/4 batter into hot skillet and cook until bubbles appear on surface and undersides are golden brown, 1-2 mins. 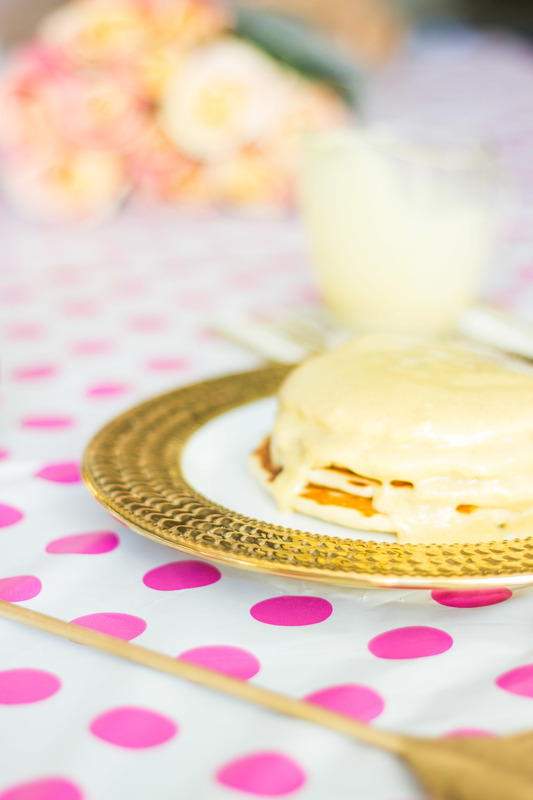 flip pancakes with a spatula and cook until golden brown and cooked through, 1-2 mins more. serve with custard sauce on top. i'm not lying when i say that we have this dish every sunday. i don't think i will ever get sick of it. my mom makes it saturday nights, and right after church we throw it in the oven. it comes out piping hot and delicious. after i've eaten my rather large piece, i get to snack on it all day. the carmel topping is legit. do yourself and your family a favor and make it this sunday. put the bread cubes into a greased 13x9 inch baking dish (or individual dishes). combine eggs, half-and-half, milk, vanilla, sugar, cinnamon, nutmeg and salt. pour mixture over bread. cover with foil and refrigerate overnight. prior to serving, preheat oven to 350. melt butter in a small saucepan over medium heat. add brown sugar, corn syrup, cinnamon, nutmeg and pecans. stir constantly until smooth. spread topping evenly over bread. bake uncovered for 40 mins or until puffed and golden brown. (bake 20-25 mins if you made them individually).